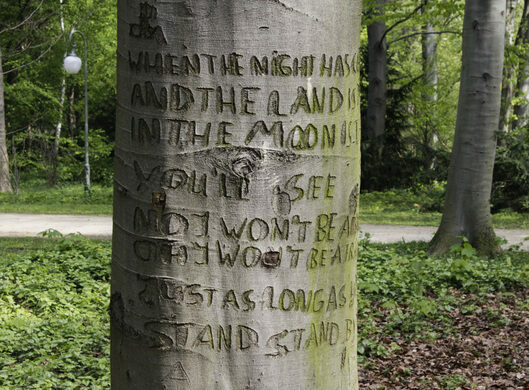 The carving is neat and deliberate. 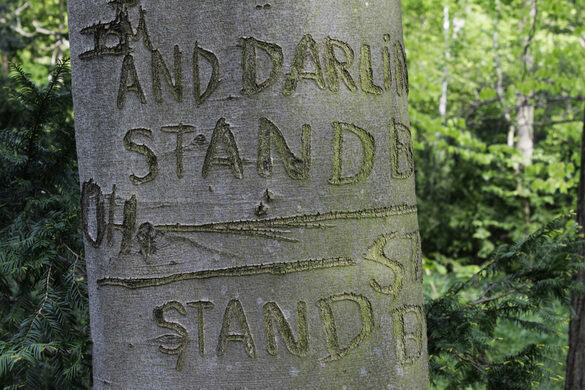 Clearly this was no act of youthful graffiti but rather a meaningful statement of purpose. 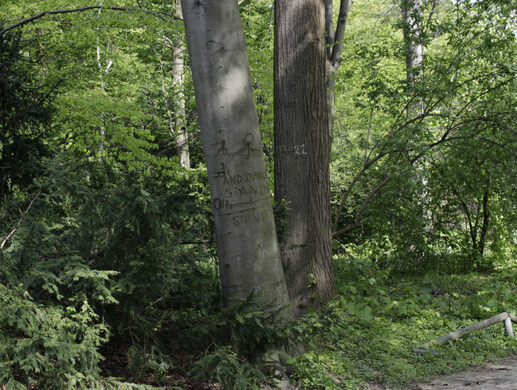 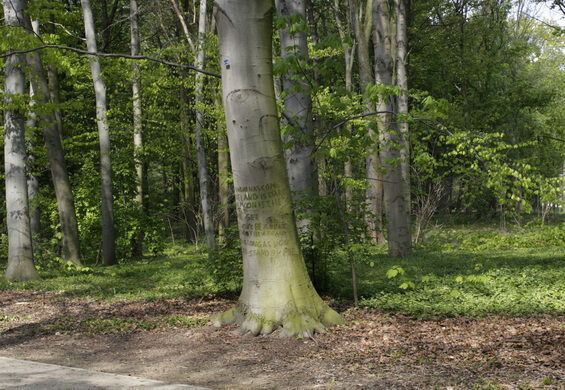 Whether it was a declaration of love for a person or just for the song itself, the “Stand By Me” Tree has become a touching unsanctioned monument in Tiergarten Park. 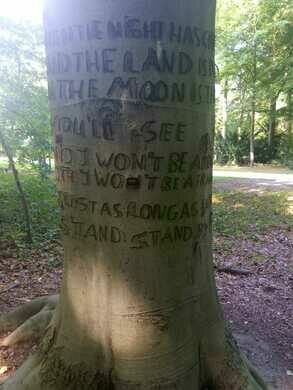 The bark has long since healed, and Ben E. King’s timeless lyrics will remain as long as the tree stands.